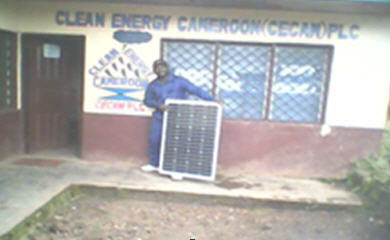 The rural community of Mbengwi in Cameroon, Central Africa has jumped into modernity. With its some off-grid solar power installations here and there, this community which has less than 2000 people is never going to be the same again. Cameroon has 7% yearly growth in power demand, with less than 20% of the people having access to electricity, so this is an opportunity to get solar panels charging their apparatuses. The local supply charges twice a month, it is often not enough for the light. Such costs are barely affordable for the rural folks (usually very poor), especially if the supply comes every other day. This situation made several entrepreneurs arise, especially in clean energies, looking for ways to fill the gap. One would note that the energy consumption itself, for a medium size family in most parts of Africa is very modest, people being most of the time contented with lighting and the ability to run small electronic equipments such as TVs, DVD player. The Gridless Electrification Scheme of Volt in Motion GmbH is therefore the perfect approach for supplying power to rural and sub-urban areas across Africa. 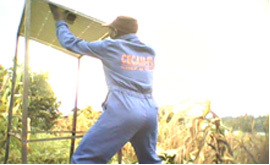 The concept itself is simple: one home, one solar panel, one inverter. 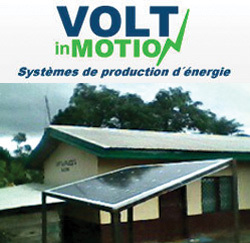 It took about 6 weeks after Volt in Motion acquired Clean Energy Cameroon PLC to see the first gridless electricity solutions rising here and there. On the company´s web presence, http://www.voltinmotion.com an online store is opened with recurrent solar best deals of the moment, one can order from simple solar panels to complete off-grid set for home “solar lighting” or advanced off-grid electrification. Now in Mbengwi, Cameroon, as the children will come back from school, they know they can do their homework. There are still many houses to power, but when one comes at night in Mbengwi today, people talking can see each other without having to pay alarming electricity bills for that. The people of Mbengwi are not yet marching on the Moon, these are just some solar panels, it is a “small step for“ us but a “big step for the humanity” (astronaut Neil Armstrong). To order a gridless home electricity equipment or to make a donation to another area like Mbengwi, contact us at: sales@voltinmotion.com .